I, Alexander von Ismay I, acknowledge and accept the Thirteen as my Creators, for the Gods of the ancient Zhell are my gods. I submit to Their will my mind, body and spirit. I pledge myself to defend the Faithful against those who would persecute them, for our gods are the gods of all. To this I do swear in Their names and my own. I, Teagan Trevelyan, acknowledge and accept the Thirteen as my Creators, for the Gods of the ancient Zhell are my gods. I submit to Their will my mind, body and spirit. I pledge myself to defend the Faithful against those who would persecute them, for our gods are the gods of all. I, Noah Hatfield, acknowledge and accept the Thirteen as my Creators, for the Gods of the ancient Zhell are my gods. I submit to Their will my mind, body and spirit. I pledge myself to defend the Faithful against those who would persecute them, for our gods are the gods of all. I, Brian MacBoruma, acknowledge and accept the Thirteen as my Creators, for the Gods of the ancient Zhell are my gods. I submit to Their will my mind, body and spirit. I pledge myself to defend the Faithful against those who would persecute them, for our gods are the gods of all. I, Linda Janda, acknowledge and accept the Thirteen as my Creators, for the Gods of the ancient Zhell are my gods. I submit to Their will my mind, body and spirit. I pledge myself to defend the Faithful against those who would persecute them, for our gods are the gods of all. I, Neria Derycke, acknowledge and accept the Thirteen as my Creators, for the Gods of the ancient Zhell are my gods. I submit to Their will my mind, body and spirit. I pledge myself to defend the Faithful against those who would persecute them, for our gods are the gods of all. I, Kylie Kavanagh, acknowledge and accept the Thirteen as my Creators, for the Gods of the ancient Zhell are my gods. I submit to Their will my mind, body and spirit. I pledge myself to defend the Faithful against those who would persecute them, for our gods are the gods of all. I, Casten Maziel Waryn, acknowledge and accept the Thirteen as my Creators, for the Gods of the ancient Zhell are my gods. I submit to Their will my mind, body and spirit. I pledge myself to defend the Faithful against those who would persecute them, for our gods are the gods of all. I, Aryn Sardothien, acknowledge and accept the Thirteen as my Creators, for the Gods of the ancient Zhell are my gods. I submit to Their will my mind, body and spirit. I pledge myself to defend the Faithful against those who would persecute them, for our gods are the gods of all. I, Mara Diggins, acknowledge and accept the Thirteen as my Creators, for the Gods of the ancient Zhell are my gods. I submit to Their will my mind, body and spirit. I pledge myself to defend the Faithful against those who would persecute them, for our gods are the gods of all. I, Nenya Plaure, acknowledge and accept the Thirteen as my Creators, for the Gods of the ancient Zhell are my gods. I submit to Their will my mind, body and spirit. I pledge myself to defend the Faithful against those who would persecute them, for our gods are the gods of all. I, Dahn Vassic, acknowledge and accept the Thirteen as my Creators, for the Gods of the ancient Zhell are my gods. I submit to Their will my mind, body and spirit. I pledge myself to defend the Faithful against those who would persecute them, for our gods are the gods of all. 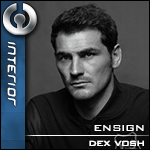 I, Dex Vosh, acknowledge and accept the Thirteen as my Creators, for the Gods of the ancient Zhell are my gods. I submit to Their will my mind, body and spirit. I pledge myself to defend the Faithful against those who would persecute them, for our gods are the gods of all. I, Nikai Tonnak, acknowledge and accept the Thirteen as my Creators, for the Gods of the ancient Zhell are my gods. I submit to Their will my mind, body and spirit. I pledge myself to defend the Faithful against those who would persecute them, for our gods are the gods of all. I, Sia Vir`uan, acknowledge and accept the Thirteen as my Creators, for the Gods of the ancient Zhell are my gods. I submit to Their will my mind, body and spirit. I pledge myself to defend the Faithful against those who would persecute them, for our gods are the gods of all.